The Mercure Doslonce Conference & Spa hotel is 6.2 miles (10 km) from the train station in Miechów, and just 28 miles (45 km) from Krakow. The hotel has 67 rooms and apartments as well as 3 meeting rooms, a restaurant offering Polish cuisine, a lobby bar and Spa & Wellness center. The hotel is situated in a typical Polish village setting with woods and meadows where you can enjoy active leisure activities. We have a grill house, pond, training golf course, tennis court, bicycles, quad bikes and horses. 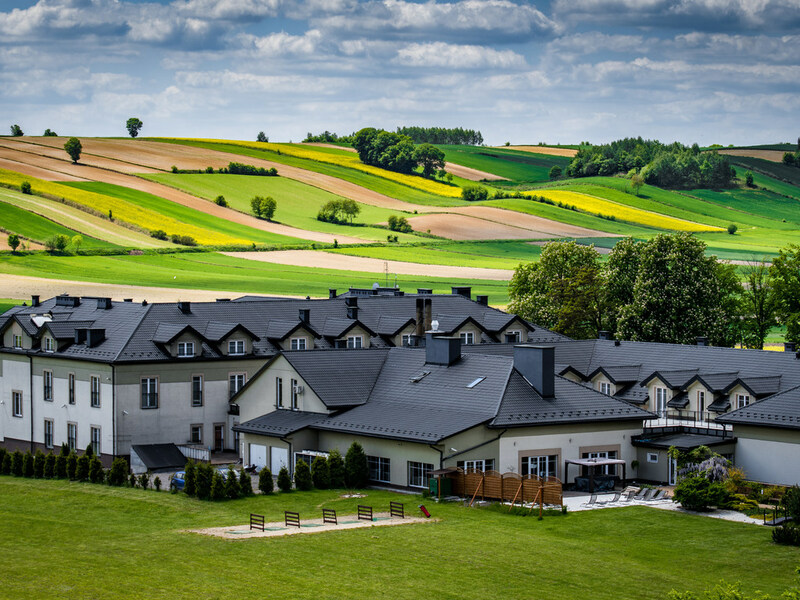 The hotel is situated in the quiet surroundings of Miechowska Highland, only 30 minutes by car from Cracow, among forests and meadows that are ideal for active leisure, and close to Rac?awice, where a famous battle took place in 1794. The hotel has 67 guest rooms, several conference rooms, a restaurant, lobby bar and Spa & Wellness. Enjoy active leisure in the hotel's surroundings with a grill spot, a pond, a training golf course, a tennis court, bikes, quads and horses. The rooms feature TV, A/C, free WIFI, bathrooms and free mineral water. Superior Rooms boast terrace access as well. Apartments consist of at least 2 rooms: a bedroom and a living room - they are perfect for family holidays. Planeta Smaków Restaurant is the place for culinary creation in the Hotel Mercure Rac?awice Dos?o?ce Conference & Spa. Unique Polish and international cuisine or gourmet game dishes are the specialty of Planeta Smaków. The Ksi? ?ycowy Bar offers a wide range of alcohol and more than 40 types of cocktails as well as fine freshly brewed coffee and a wide range of teas including exclusive and relaxing Wellness teas. Ksi? ?ycowy Bar has also a great snack menu.